The body’s musculature is both quantitatively and qualitatively of critical importance to the body. In an average human, the muscle takes up a third to half of all the body mass. Qualitatively, it is critical to all aspects of life; even the brain has virtually no other means of expressing its thoughts other than by contraction of muscle fibers. Two main distinct muscle tissues are present in the body, smooth and striated muscle tissue. Striated muscle tissue is subdivided into two major parts: skeletal muscle tissue and cardiac muscle tissue. In the muscular dystrophies, both skeletal and cardiac muscle tissues are part of the pathological manifestation of disease. 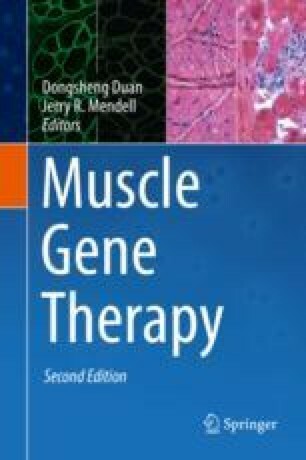 In this chapter, we will discuss the basic mechanism of contraction at the molecular level, as well as the regulatory mechanisms that make the muscle function in vivo. We will focus on skeletal muscle and cardiac muscle, briefly describing the extent to which muscular dystrophy impacts muscle contraction in these two different muscle tissues.